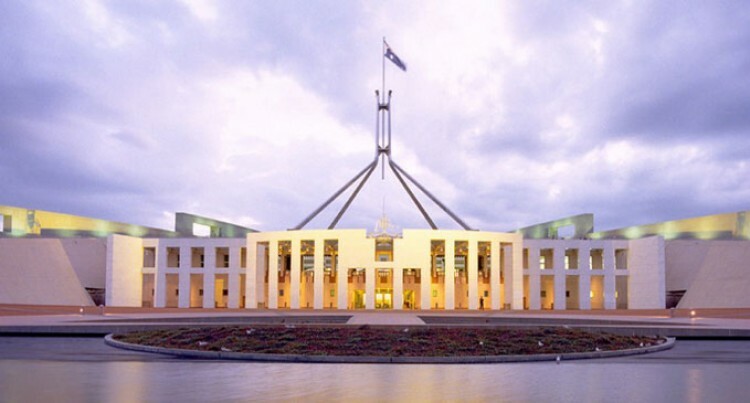 Parliament House, Canberra, ACT, Australia. Satendra Nandan is a University of Canberra Emeritus Professor and writer. His latest book, BRIEF ENCOUNTERS: Literature and Beyond, was published in July. He’s currently working on a travelogue set in Fiji-Australia-India. In states unborn and accents yet unknown. He’s is assassinated by his erstwhile friends and fellow Senators in the Senate, in Rome, Before the Capitol. Shakespeare sets the scene with the imagination of an artist, and the precision of a political scientist. Julius Caesar is his great political play warning generations that no matter how noble your end, if you adopt ignoble means it inevitably will lead to disaster. The play was written in 1599 when the playwright was at his most creative and innovative with an agile and febrile , nay fissile, imagination. I first read this play by Will Shakespeare when I was barely 16 years old preparing for the ubiquitous Senior Cambridge examination, a great gift to the colonies. I’d no idea that Shakespeare had written 36 other plays, among them subsequently my favourites : Hamlet and King Lear. What can be imagined by a human mind can also be done by other human beings. That is the story of all epics, local or global, ancient or modern. That the Mahabharata had mirrored the fratricidal wars of Europe or the civil wars of the Americas or the partition of Indian subcontinent is quite extraordinary, including what’s happening today in the Middle East. Literature has a deeper vitality than history because it involves the human imagination: and grows out of life refracting our many lives. The imagination of the poet sees it all: the immortality of the soul and the immorality prevalent in the world’s multiple realities. We live it daily in epics and lyrics, songs and stories, acts and words, from playgrounds to parliaments. We love and betray even as we break our daily bread. I was, of course, reminded of my school play as events unfolded in the Parliament of Canberra on a good Friday. What a fall was there! And the fall- out continues with bitter recriminations by yesterday’s men in power.Tony Abbott is complaining over the surf of the betrayal by his friend and minister Scott Morrison, now the Treasurer in the Turnbull ministry. Apparently just before the final ballot on Friday, he’d called Scott Morrison and offered him the Deputy Leadership and the Treasury. In one stroke, to save his position, Abbott was throwing two ministers— Treasurer Joe Hockey and Foreign Minister and Deputy Leader Julie Bishop– ‘under the bus’ driven by Malcolm Turnbull. In Richard III:“A horse! A horse! my kingdom for a horse !” cries the horseless King , killed by Richmond in on the battlefield of Bosworth in 1485. Only recently his bones were exhumed and taken for a more dignified burial. Shakespeare didn’t miss a thing. That is his marvelous genius. ‘He didn’t warn ME!’ Such was the desperate bid of a Prime Minister whose great boasts were: ‘Stop the boats’; ‘Debt and deficit disaster’;‘Coal is Clean’, etc.,—the three-word slogans. In 2009, he had wrested the leadership from Malcolm Turnbull by a single vote: 42 to 41. This was our ‘fighting PM!’ and who did he and some of his colleagues fight? : the asylum seekers, refugees, the unemployed, the disabled, the ill, single mothers and fathers, the gays, university students, the pensioners, the aged and ageing, denying climactic climate change—the one undeniable existential threat to most of humankind, especially in our region with the vulnerable small nations with their unique island worlds. Broken promises lay strewn like abandoned boats on shores of despair. I was reminded of this as tributes poured in for the deposed prime minister: by his ministers and honourable friends. If they had kept quiet, one would respect them more for their self-respect and honest silence. One of them, a royalist, even said crassly: ‘The king is dead. Long live the king!’ But I think he missed out on a cabinet portfolio. I was taught Julius Caesar under avocado trees on the banks of the Nadi river. When it rained, the Nadi flooded, we moved under a tin-shed. And the Roman story, written by and Englishman, taught by a remarkable teacher from India, continued in an alien language. But Julius Caesar has remained my favourite play. My teacher who taught me died years ago, reading the Bhagwad Gita. And the fickleness of the mob one confronts virtually everyday. The amazing truth is that the assassination of Caesar has been repeated an acted from the South Pacific to South Africa: Henderik Verwoerd, the architect of apartheid, and prime minister of South Africa, was assassinated in Parliament in 1966. I was teaching Julius Caesar to my students in Suva then. It had happened in another country, to another people. Twenty years later it happened in Fiji Parliament: how can one forget the obscene scene on 14 May 1987 in Fiji’s House of Representatives– ten masked gun men, their naked guns thrusting at the Prime Minister’s bewildered body. How art imitates life, often so brutally. At least the ‘noble’ Romans didn’t cover their faces. And when the time came they fell on their swords. Julie Bishop has been unfairly called Lady Macbeth by a segment of a very partisan media . After the ballot, which replaced Abbott, she said ‘tears were shed’; but no-one really wept. Ms Bishop is one of the more able and decent ministers of the Abbott government. If there’s another leadership spill, she would deserve to be the second woman prime minister of Australia. Malcolm Turnbull, 60, is the new leader and Australia’s 29th prime minister. He’s a lawyer, a successful banker, a republican, and a family man, although his childhood and youth was spent away from his biological mother. On Monday ,soon after the swearing-in of the Turnbull ministry— 21 ministers, two more now and five women, including the Defense Minister—there was thunder and lightning over Canberra but it didn’t last too long. By sunset the Spring sun’s sacred radiance was illuminating the Federal Parliament’s flagpole—no matter what we do to each other in the lap of Mother Earth. Turnbull has said these are exciting times, challenging times, perhaps more accurately ‘interesting times’ in the Chinese sense. He’s now the preferred prime minister of the country and if the elections were held before Xmas, he could trounce Labor’s Bill Shorten , if Bill remained the leader of the Labor team. Turnbull emphasized freedom and flexibility—policies are not carved in stone, he remarked—if they don’t go through a recalcitrant Senate they must be changed. Certainly there’s a new confidence and optimism in the Canberra air. But the ground realities may be quite different. Turnbull’s capability to deal with the global powers are as vital as national and regional issues. Politics is game is of Snakes and Ladders or more aptly Leaders. Scott Morrison is an ambitious fellow—he’s one step away from Prime Ministership. He could be tempted. And Tony hasn’t left the Parliament yet. Malcolm in the middle could turn out to be a bull in the China shop!